50% of US adults can't read above 8th grade level and between the ages of 10 - 13, the average number of kids that read recreationally drops from 53% to 20%. A major reason is because school-assigned books are dense, badly designed and poorly produced. Design a collection of books for the 8th grade level that both inspire a passion for literature and easy-to-read. The three book collection consists of "The Canterbury Tales" by Geoffrey Chaucer, "The Divine Comedy: Inferno" by Dante Alighieri and "The Aeneid" by Virgil. These are all commonly found on middle school reading lists. The covers were designed with the woodcuts of Gustave Doré and hand drawn calligraphy as a way to bridge old literature with the modern world. Inferno is the first part of Dante's 14th century epic poem. It's an allegory of the narrator's journey through hell. Virgil's Latin epic poem is about the legendary story of the Trojan Aeneas who travels to Italy and becomes the ancestor of the Romans. 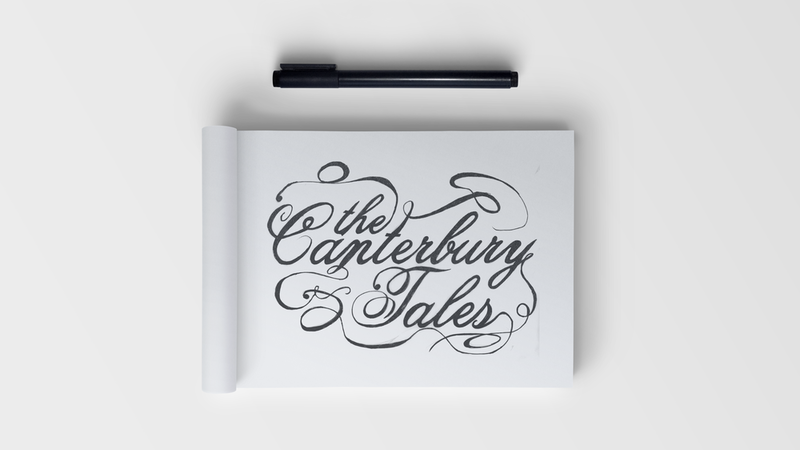 The Canterbury Tales is a collection of stories by Geoffrey Chaucer that is known for popularizing the use of vernacular in literature. The challenge when reading the tales is that it's a story of Chaucer telling the story of characters, telling stories of other characters. Thus, different characters can be identified by the way the type is set (different sized fonts).